Throughout the years, food recalls have become a common occurrence. Items such as healthy fruits and vegetables and many people's favorite dessert, ice cream, have had a hand in making people sick. According to the U.S. Centers for Disease Control and Prevention, approximately 48 million Americans fall ill because of contaminated food. With new legislation, the Food and Drug Administration is hoping to put a stop to foodborne illnesses before they become an epidemic by increasing visibility throughout the supply chain. In 2009, the Georgia-based Peanut Corporation of America was forced to recall hundreds of its consumer products because of salmonella, The Associated Press reported. More than 700 people fell ill and nine died in 46 states. This wasn't the first time that the company had faced salmonella contamination. According to an article in The New York Times from the time of the recall, the FDA had found traces of the bacteria in 12 separate instances in 2007 and 2008, but the Peanut Corporation of America continued to ship its products without making any changes to the plant. Because of this situation, President Barack Obama and Congress decided that the nation's food safety guidelines needed to be updated for the first time in 70 years, the source explained. The Food Safety Modernization Act calls for preventative measures to be taken before recalls are needed and will require visibility throughout the supply chain. The first of many regulations were released on September 9, and companies must change their practices to adhere to FDA guidelines. While these currently only apply to processed foods, rules concerning fresh produce will be enacted by the end of the year. With the finalization of the Food Safety Modernization Act, the FDA will have more power over inspections and shutting down unsafe facilities, as well as requiring stricter evaluation of imported goods, The Associated Press reported. Complete prevention of food recalls may be difficult to achieve, but manufacturers can ensure they take the best safety measures by implementing traceability methods in the supply chain. 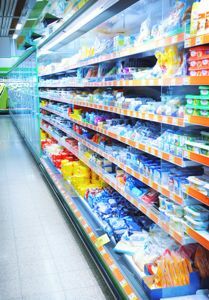 Internal data must become part of a larger system to track products from the factory, through distribution and onto store shelves, Food Safety Magazine contributor Angela Fernandez explained. This information must be standardized across the board to simplify the recall process and make sure people aren't consuming potentially dangerous products. Traceability comes with many benefits, according to the source. If a hazard is detected, companies will be able to determine where in the country their products are and will have a better chance of getting most of them back with limited side effects. The data can also be accessed by consumers through barcodes. However, this information isn't always standard across manufacturers and retailers. By creating a more consistent set of data, businesses will be able to provide trustworthy and accurate information to their customers. Traceability aids in inventory as well, and manufacturers can track their products to the stores and determine when those retailers need more merchandise. Many of these activities can be done with radio frequency identification, which allows for visibility throughout all parts of the workflow, Supply Chain Digital explained. People will easily be able to identify products based on brand, size, color and style, as well as manage storage and in-store inventory. RFID allows parts of the supply chain to be automated, which increases efficiency by 95 and 99 percent, according to the source. Visibility throughout the food supply chain is crucial to maintaining public safety. By adding another layer of visibility and traceability, manufacturers will be able to adhere to new FDA regulations and keep their customers happy and healthy.